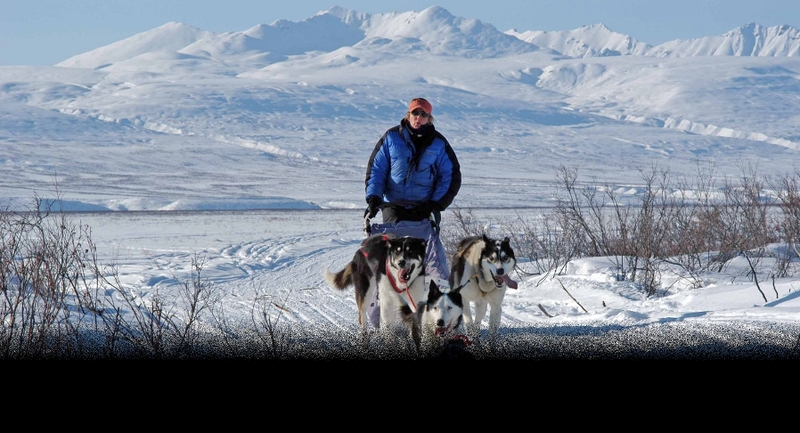 We get a lot of inquiries about dog sled adventures, and in the winter, there are many different options available. 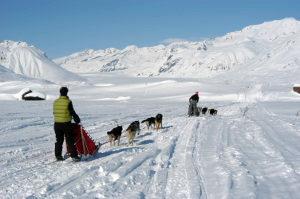 If you'd just like to take a ride on a dogsled, there are one-hour dogsled rides available. Your guide does the driving, and you just sit back and relax as the dogs take you through the snow. You can combine a night-time dogsled right with a gourmet dinner and northern lights viewing, if you like. If you're feeling a little more adventurous, you can take a short half-day class where you actually learn to drive your own dogsled... and if that isn't enough for you, you can set out the next day on an overnight dogsled trip to a cabin, or even on a week-long adventure through the Alaska Range. If you'd like a little change of pace, you can start off with the dogs, and end with the iron dogs - snowmobiles (or, as we call them here, snowmachines). Snowmachine tours range from an hour, to half or full day trips, or even multiple day adventures. When you combine then with a dogsled adventure, you'll set off for a couple days by dogsled, spend the night at a great wilderness lodge, then explore by snowmachine for several days before returning back to Fairbanks. Alaska also has some world-class downhill skiing. Alyeska Resort in Girdwood (about 30 to 40 minutes southeast of Anchorage) receives many feet of snow every year, and offers terrain for every skier and snowboarder. If you're a cross-country skier, Alaska offers some of the world's best nordic skiing. Anchorage and Fairbanks both have many miles of lighted and groomed trails, and many parks and wilderness areas offer excellent cross-country skiing opportunities. If you're looking to hook into that big fish, but can't wait until summer, ice fishing in Alaska for trout, salmon, char and pike is available in lakes across the state - and charters for king salmon (we call them feeder kings, because they are here feeding all year) are available out of Homer throughout the winter. 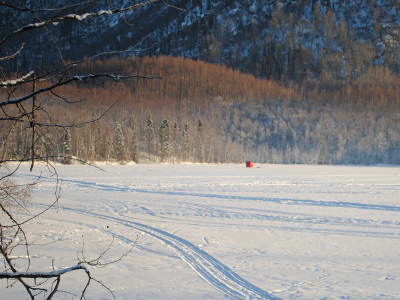 Portable ice fishing shanty on Mirror Lake, near Anchorage.